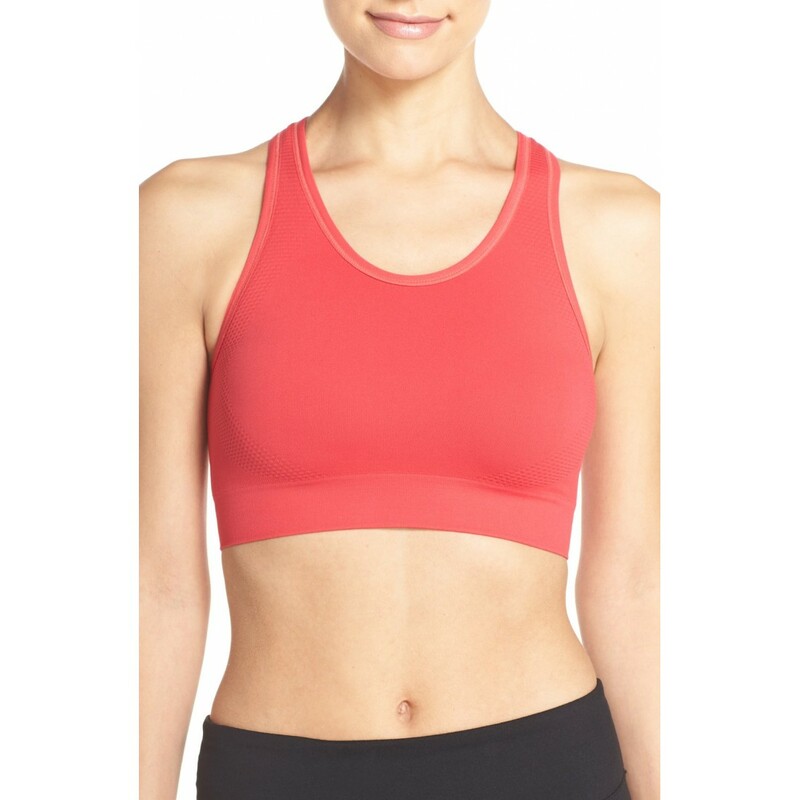 A versatile sports bra is designed for a comfortable fit with its sleek cutout racerback and seamless construction that doesn't rub or irritate your skin. It reverses to a new color for more outfitting options. 60% nylon, 29% polyester, 11% spandex.